WILKES-BARRE – A jury awarded a city man more than $1 million for injuries he suffered on a collision caused by a repeat drunken driver. The jury awarded Joseph McDonough, 28, of East Lafayette Place, $1 million on Friday for his injuries, plus an additional $100 on Monday in punitive damages, from Russell Totten of Regent Street in Wilkes-Barre. Court papers said Totten, on March 30, 2002, had a blood alcohol content of 0.26 percent when a vehicle he was driving slammed into the rear of a vehicle which held McDonough of Hanover Township. 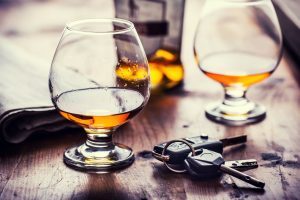 At the time, a driver in Pennsylvania was considered legally intoxicated with a content of 0.1 percent. After the collision, Totten left the scene and went to a bar, McDonough’s attorney, Neil O’Donnell, said. Totten was later charged with and convicted of drunken driving. It was at least the third drunken-driving conviction for Totten, who has not had a valid driver’s license since 1994, O’Donnell said. McDonough suffered herniated discs in his spine. He receives injections into his spine and is a candidate for spinal surgery, O’Donnell said. Totten’s insurance company, Safe Auto, offered McDonough $3,500 in the case. But McDonough sued, leading to a civil jury trial that started last week before Luzerne County Court of Common Pleas Judge Michael Conahan. In testimony, jurors heard how Totten regularly drove to four bars to drink. On March 30, 2002, he drank at least 15 “Jack and Cokes” and one beer before the collision, he testified. The jury Friday evening awarded the $1 million for medical expenses, pain and suffering, and future loss of earning capacity. It returned Monday to determine how much punitive damage should be awarded. On Monday, Totten’s wife testified that her husband stopped drinking before his January 200 3 heart attack, and has not since worked. Totten’s attorney, John Evans, told the jurors the $1 million was plenty of money awarded in this case, and his client does not have substantial income to satisfy a large verdict. But O’Donnell urged the jury to send a message to drivers who continue to ignore the laws and drive drunk. Evans, of Philadelphia, left after the verdict and could not be reached for comment. Totten will be personally responsible for the $100, while O’Donnell intends to heavily pursue Safe Auto for the $1 million verdict, he said.